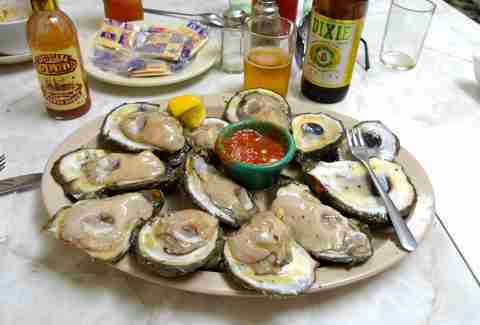 In the past few years, New Orleans has experienced a heady renaissance, and nowhere can that be seen more than in its food. While everyone knows that NOLA prides itself on its eats (and drinks, of course), what the town is experiencing, culinarily speaking, is nothing less than an embarrassment of riches. It’d be damned near impossible to list every single good thing to eat in town, so here are some of the current best bets that never fail to satisfy, from the old school to the new. 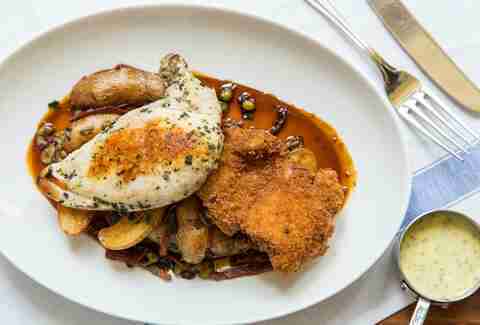 How on Earth does someone take a simple tater and turn it into something so wonderfully airy, pillowing, salty, and magical as they do at Arnaud’s? Its Soufflé Potatoes, served with a creamy béarnaise sauce, are, hands down, the best bar snack ever invented. 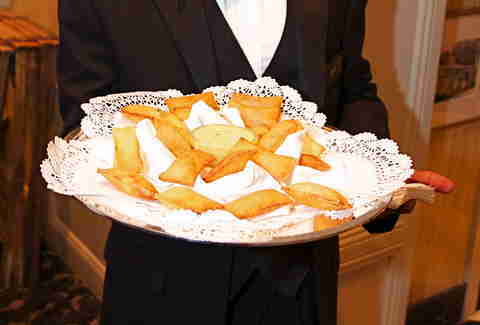 Enjoy them with a brandy crusta or a French 75, but just be wary that you very well may have to fight your friends for the last one. Everyone flocks to the Central Grocery for a taste of the original muffaletta sandwich, but Donald Link’s version -- served hot with house-cured meats -- takes muffaletta magic to the next level. 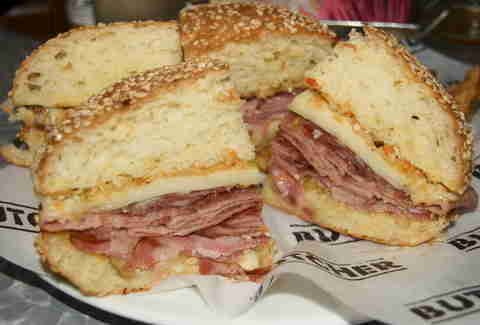 It is the best version of the this classic sandwich that the city has to offer, period. Okay, so raw bivalves aren’t really a “dish” per se, but that’s just semantics when it comes to the oysters at this Magazine St institution, nearly 100 years old now. A special stainless steel “oyster cooler” makes sure these guys are always cold, but never watery. We’ll take three dozen. To start. Chicken never seems to get a whole lot of respect on restaurant menus (unless it’s deep fried, naturally), generally the choice for picky eaters who want something safe. 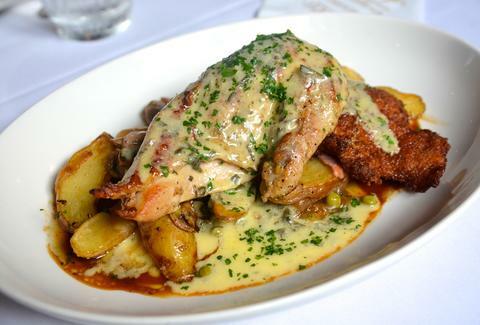 Well, Tableau clearly didn’t get that memo; its namesake herbed-chicken dish, featuring a juicy sous-vide cooked breast and a crispy thigh, both topped with béarnaise and chicken demi-glace, will satisfy every time. Not to mention that it’s a true bargain at only $20. Named after Kanno’s chef's/owner’s affectionate nickname, the Elvis Roll features no rice, substituting snow crab (no cheap fillers here!) 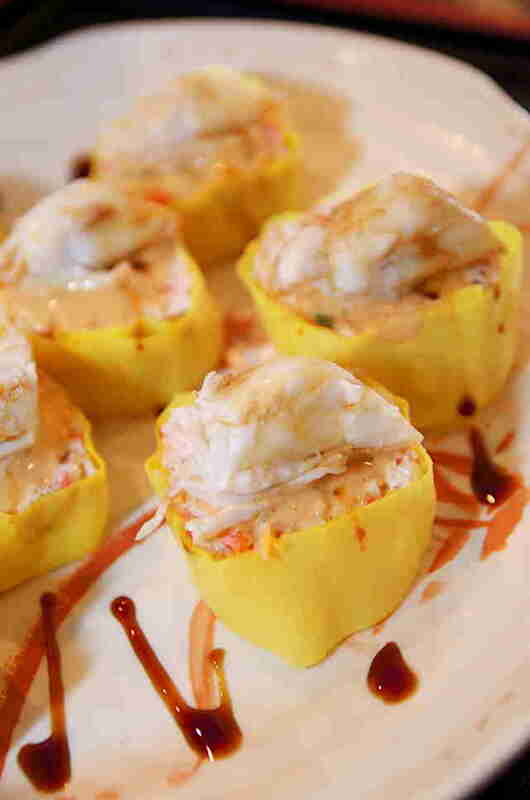 inside colorful soybean paper, and topped with colossal lump crabmeat and a secret sauce. It would make the King himself proud, if he were still with us. 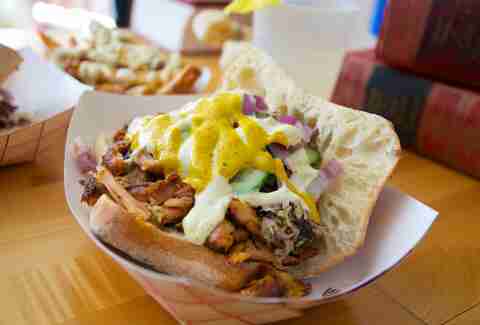 The newcomer to St. Claude Ave almost immediately found a kind of cult following, and for excellent reason: its Dutch/German street food is spot-on, especially the dark meat chicken doner, which has no equal in town. Wait... a vegetable is on this list? And a cauliflower, at that? How could this be? 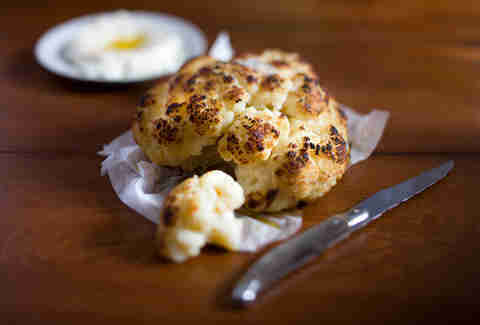 Well, if you cook your cauliflower in Alon Shaya’s fashion -- sous-vide for tenderness, then roasted in a wood-burning oven and served simply with sea salt and air-light whipped feta cheese -- you’ll quickly see why. With the influx of new Mexican and Tex-Mex eateries in NOLA, the taco competition is pretty fierce these days. 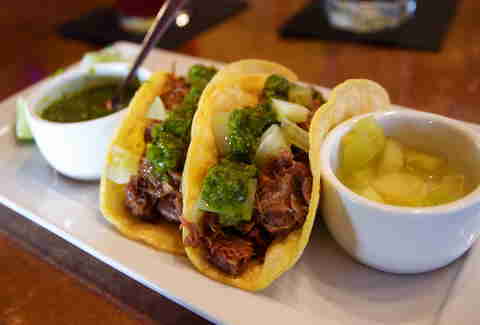 At the forefront, however, are Maurepas’ inimitable roasted goat tacos, which come with a bright green cilantro harissa sauce, pickled green tomatoes, and a variety of house hot sauces. In 2014, New Orleans got its first official brick-and-mortar Filipino restaurant with Milkfish, and a meal there will make you realize that we probably don’t need any more, because this place is going to be pretty damned hard to top. 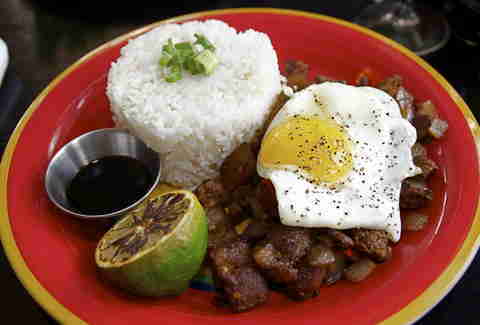 A favorite here is sisig, a traditional Filipino dish of roasted pork face (yes, pork face) and liver topped with a fried egg and served with garlic rice. 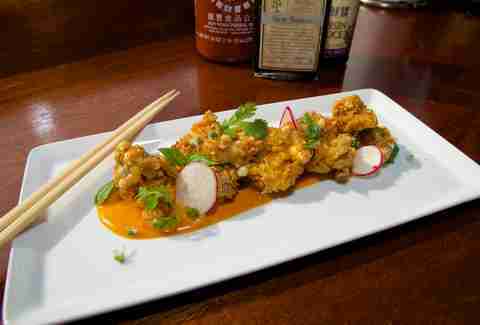 This is what you get when the former chef de cuisine at John Besh’s flagship restaurant August, Michael Gulotta, decides to head off on his own to create a Mississippi-Delta-meets-Mekong-Delta fusion joint. There’s much to love about the menu here, but the fried P&J Oysters, served with pickled bleu cheese, sliced Easter egg radishes, and “MoPho mayo,” are serious business, and need to be eaten to be believed. There wasn’t a single place in New Orleans where ramen aficionados could get their fix of deeply flavored bone broths and hand-made noodles until the advent of Noodle & Pie, and thank goodness it's come to save the day. Order the House Bowl, and you’ll forget the existence of sad, dorm room microwave noodles entirely. Also, it has pie! 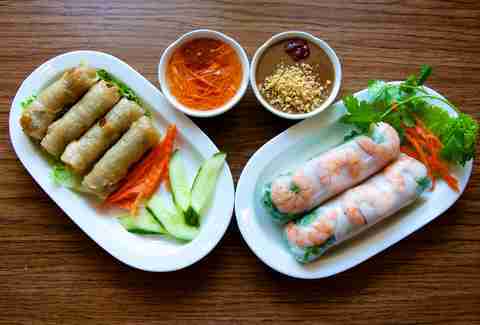 The owners of this relatively new Magazine St Vietnamese spot brought their family’s traditional pho recipe all the way from the town of Cam Ly, and it’s worth seeking out. But if you’re headed that way, don’t miss out on the fantastic egg rolls, made with funky, fermented Chinese sausage nestled in tapioca (not wonton!) wrappers. 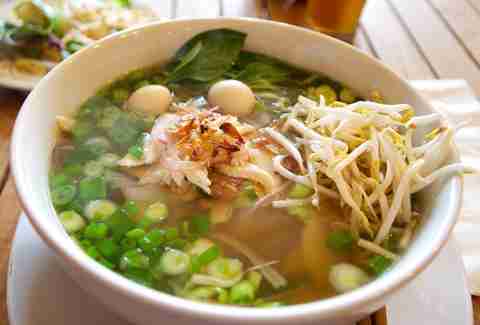 In a city brimming with Vietnamese options, the options for a hot, filling bowl of pho are myriad, but Lilly’s has one of the very best chicken soups on this side of creation. It's excellent when you’re cold, or if you have a cold, or, you know... it’s Wednesday. 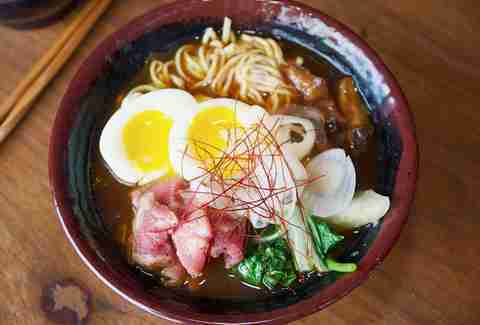 The depth of flavor in the broth is astounding, and the addition of boiled quail eggs really makes the dish pop. This one is a perennial favorite for a reason: you absolutely cannot find anything quite like it in town. 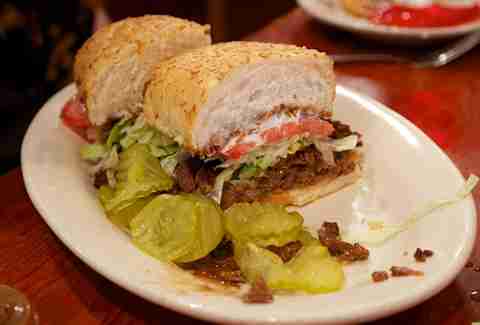 The roast beef -- chopped, not sliced -- simmers in a rich, extra dark and thick gravy until heaped on a loaf of seeded Leidenheimer French bread, and then served “dressed” with the standard lettuce, tomatoes, pickles, and plenty of mayo. All those Downtown hipsters who instinctively gag at the thought of driving to the other side of the 17th St Canal will never know what they’re missing. How can you make a giant platter of hash browns and eggs even better? 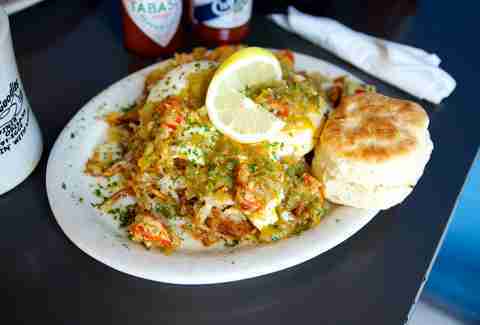 Top the whole thing with crawfish étouffée, of course. Just make sure to get there early on the weekends to avoid the (very much deserving) line out the door. The barbecue game has been seriously raised in NOLA in recent times, and different spots are great for different aspects of classic barbecue. 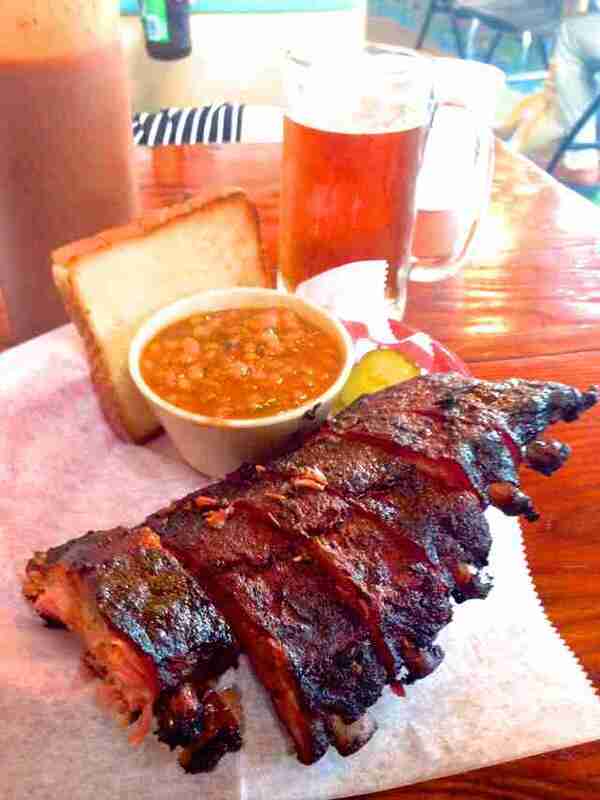 When it comes to pork ribs, however, The Joint is the place to beat. It won’t be easy, if at all possible. If there was going to be any place in the Crescent City that featured a giant lamb’s neck on the menu, you know it has to be Toups', emporium of all things meaty and delicious. 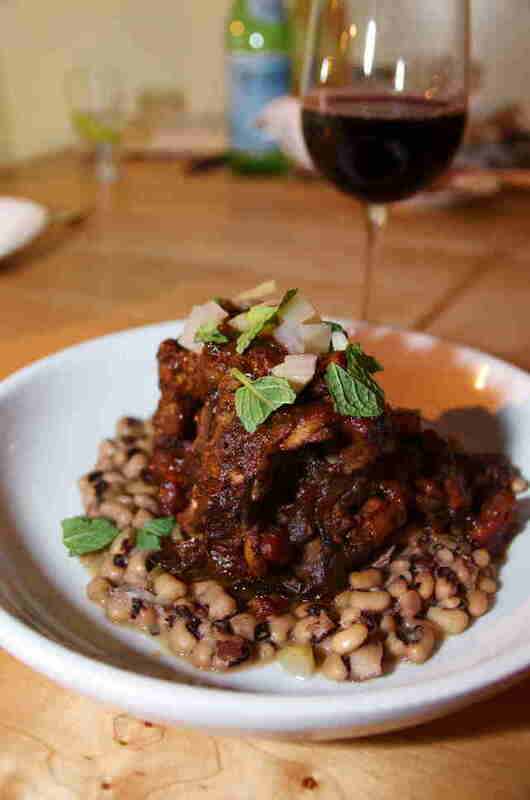 You don’t see this cut very often, but Chef Isaac Toups hits this one out of the park, pairing it with fennel and a black-eyed pea salad. Los Angeles has In-N-Out, New York has Shake Shack, and, when it comes to fast-food-style burgers and fries made with love and only the best ingredients, New Orleans has The Company Burger. 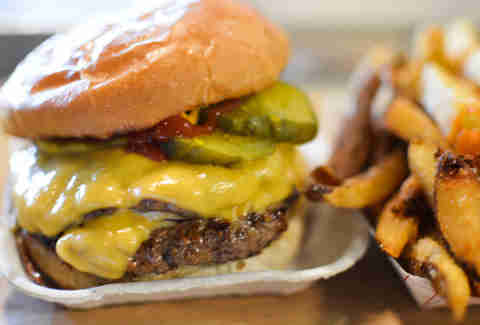 There are plenty of outstanding burgers in the Big Easy, but this one just never fails to satisfy.